With an area of 5000 Kanal the society has all the luxurious amenities. 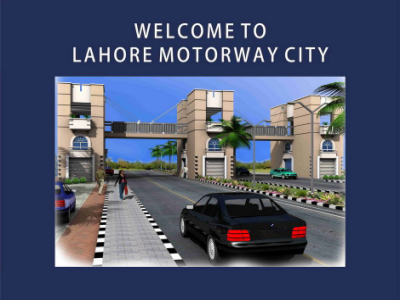 Ample space has be allocated for Schools, Colleges and Community Clubs in Lahore Motorway City. Lahore Motorway City has a total of 220 Kanal of commercial area. With its own Electricity power generation facility, Lahore Motorway City is from the inconvenience of Load Sheading. With an Advanced Security Network, Lahore Motorway City ensures the safety and security of you and your family members. This is the First and Government Registered Residential Project on Lahore Motorway. Plots are available in 5 & 7 Marla and 1 & 2 Kanal area. The price is to be cleared within a period of 3 years on easy installments.